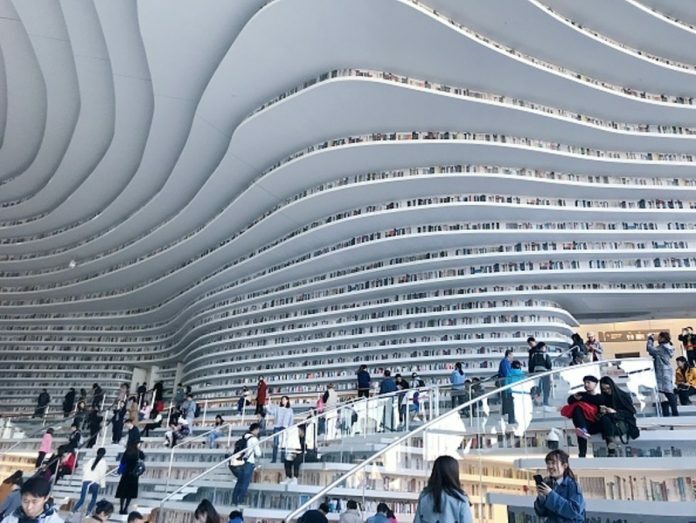 Ok, there are some pretty impressive libraries in the world. The Library of Congress and the New York Public Library are definitely iconic. 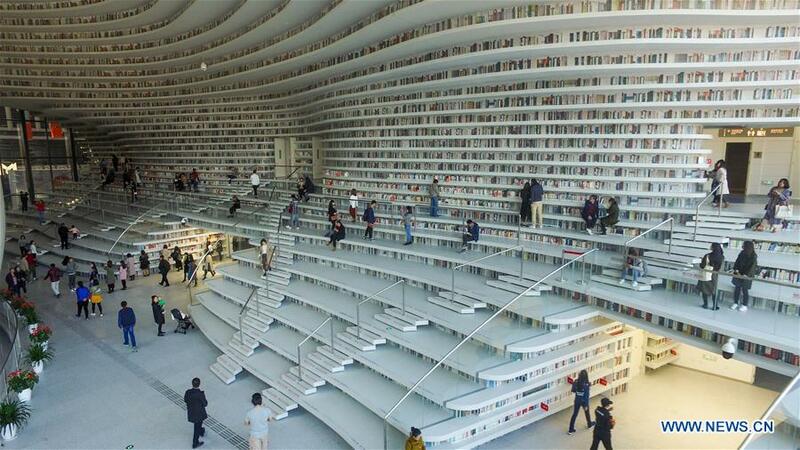 But this new library in China is almost out of this world futuristic. The Tianjin Binhai library east of Beijing has a unique architecture that needs to be seen in pictures to be appreciated. 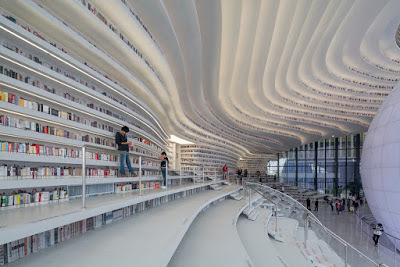 The undulating walls can hold 1.2 million books. Right now the shelves are not nearly that full. 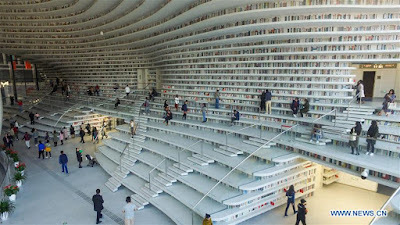 Many of the "books" on the walls are just images placed there on aluminum plates until real books are eventually stacked there. Still, it is a very awe inspiring design. 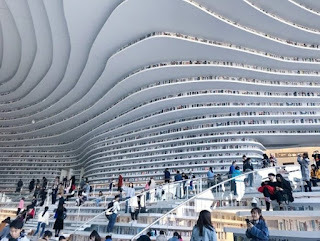 Maybe if my alma mater can show me something like this when they ask me for donations I would give more money to their library fund.